I'm not a physicist or a mathematician, but I've always been drawn to the Big Questions. This book is just filled with Big Questions and lots of humor. 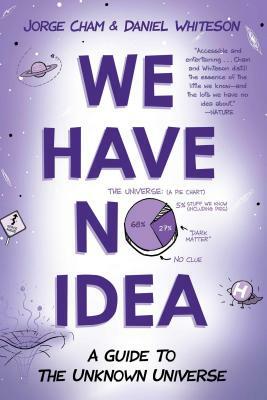 Whiteson and Cham explain in layman's terms and with cute comics, the five percent about the universe that we do know, while opening up the readers' minds to the 95 percent of the universe that we are still stumped by. They explain how we might tackle these still unanswered questions and give us hope with the fact that we have managed to learn so much about our universe in just the last few hundred years. — From Mark B.